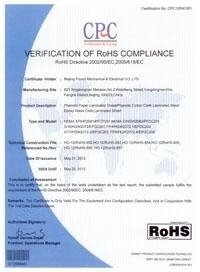 Beijing Found Mechanical & Electrical CO.,LTD. develops and produces all kinds of electrical insulation materials(industry laminate sheet,rod and tube), insulation parts and d rinking Water Equipment . *Phenolic Paper Laminated Sheet(Phenolic Paper Sheet): HP2061 sheet,X sheet,XP sheet,XPC sheet,etc. and Phenolic Paper Laminated rod, tube, and parts. *Phenolic Cotton Cloth Laminated Sheet(Phenolic Cloth Sheet): Hgw2082 sheet, Hgw2082.5 sheet,Hgw2083 sheet,C sheet,CE sheet,L sheet,etc. and Phenolic Cotton Cloth Laminated rod, tube, and parts. *Epoxy Glass Cloth Laminated Sheet(Epoxy sheet): G-10 sheet,FR-4 sheet,G-11 sheet, Hgw2372 sheet, Hgw2372.1 sheet,Hgw2372.4 sheet.etc. and Epoxy Glass Cloth Laminated rod, tube, and parts. *GPO-3 Polyester Glass mat Laminated Sheet and parts. *Silicone glass cloth laminated sheet and parts. *Melamine Glass Cloth Laminated Sheet and parts. *Polyimide film and Polyimide film and glue tape. *Nylon Plate, rod, tube and parts. *PTFE Plate, rod, tube and parts. *Mica Plate and mica tape. *Drinking Water Equipment.The equipment can provide hot water, cold water, room temperature water and ices,widely used in schools, hospitals, offices, homes and other places.